Brief: The Dubai café opted to build its interior with a fixed installation of rectangular grid truss structure, conveying style, modernism and innovation. 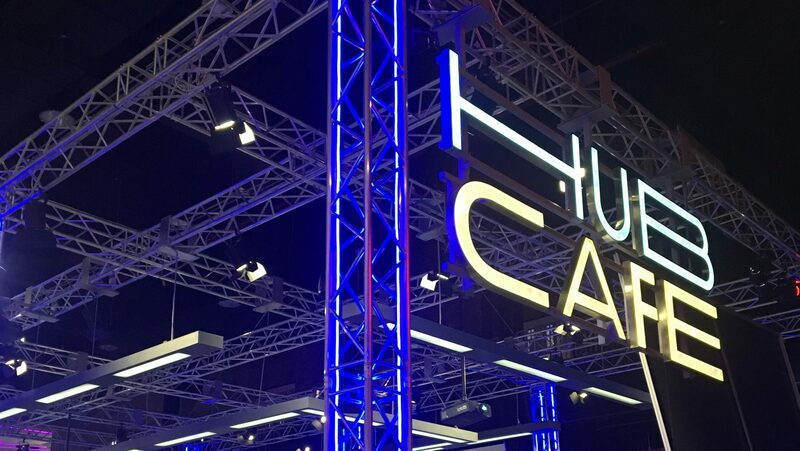 Solution: Procom Middle East supplied and installed a fixed structure of rectangular grid truss made out of Eurotruss heavy duty 40 x 40 box truss standing on legs. Also used to hang lights, projectors and projection screens, the grid combined more than 80 trusses of different lengths.